A few weeks ago I read an article in the Daily News Record about a new community named Preston Lake being constructed in Harrisonburg, VA. 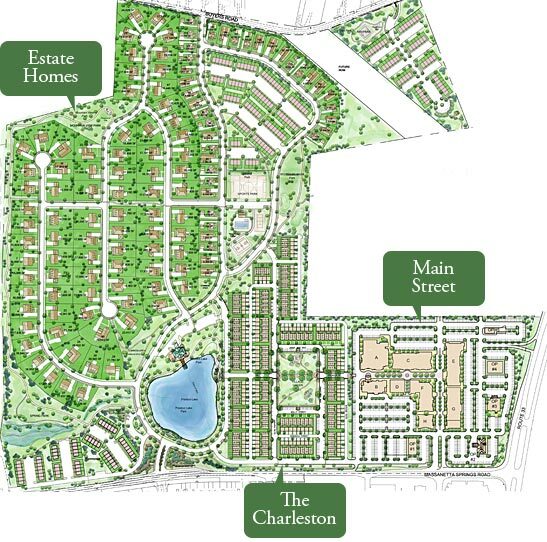 The developing firm, The Hine Group, announced that they were going to build a mixed-use community outside the city limits of Harrisonburg, and the group stated that the new community would have a shopping district, unique row houses, apartments, estate homes, and small single-family cottages. Preston Lake is marketed as a pedestrian friendly, safe, vibrant, and diverse community. 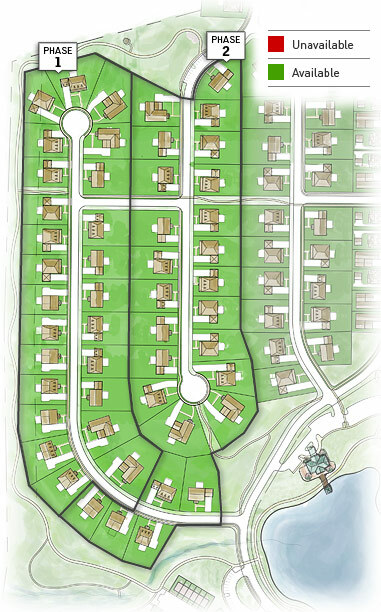 The image above is the master plan for Preston Lake, and it shows the design of the community. The Hine Group’s attempt at making a sustainable urban community is commendable, and I truly believe that this community will spur the growth of future developments in this region of Virginia. However, as a student of urban design I have noticed several flaws in Preston Lake’s master plan. Mixed-Income – One of the most important principles of urban design is mixed-use, and when this strategy is implemented successfully the resulting community is full of diverse individuals from various backgrounds and income levels. 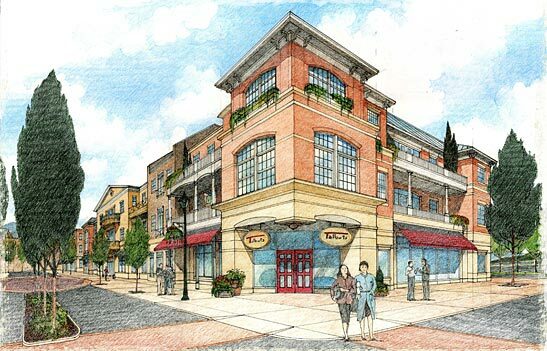 The builders of Preston Lake wanted to provide a mixed-use community and they designed a community with low-density houses, high-density apartments, shops, commercial areas, and civic buildings. However, they planned for high-end buildings for high-income people. The estate homes are generally more than $500,000, the row houses cost more than $300,000, and the shops/restaurants (e.g. Talbot’s, the Bookbinder’s grill) are relatively expensive commercial properties. Currently, this planned community is only viable for the people in the upper middle-class or above, and the lack of affordable alternatives will segregate the community from residents of different income levels. To alleviate this problem the community should provide more affordable housing and allow businesses/shops/restaurants with more affordable prices to enter the community. Street Design – The layout of the streets in a neighborhood is very important in urban planning because the street network dictates how a community will interact and helps define the public and private properties. The best urban communities usually have grid-like street networks, and these networks are important because they allow people (pedestrians, drivers, joggers, bikers) to easily travel in the community, alleviate traffic congestion, and they increase social interaction. When streets are connected and pedestrian friendly, citizens can use the roads/sidewalks to exercise, and meet one another. The streets in Preston Lake have few connecting roads, dead ends, and unattractive sidewalks (from what I can see in the plans). Community Layout – Streets alone do not create a lively community. To create a vibrant community the streets need to lead to intriguing destinations (shops, restaurants, community centers, churches, parks). Thus, it is important that a community contains a variety of destinations and that these destinations are spread throughout the community. Preston Lake certainly has some attractive buildings, but they are all situated in the same area. This is a problem because all of the traffic flow will be concentrated in a certain area and other areas of the community will be deserted. The community is named Preston Lake. To successfully integrate the various features of the community I would place shops and businesses next to the community center located on the lake, and have the houses branch out from that location. The high-density housing would be located closer to the lake, and the low-density housing would be farther away. Even though there are some flaws in Preston Lake’s designs, there are also several features that are favorable. For example, I really like the various designs of the row houses and the fact that the Hine Group wanted to incorporate designs from cities that are historically known for the beautiful architecture. The community plans to use architecture from Charleston, SC, Georgetown, Boston, and Williamsburg. However, I would only consider living there if the community was diverse (socially and economically), vibrant, and pedestrian friendly. Interesting post. I wish I had known about your blog a while back when this was in the news. I posted about this too. I’m very much in favor of “smart growth” but it’s hard for me to get excited about Preston Lake. I hope to learn more and let the community know about it.